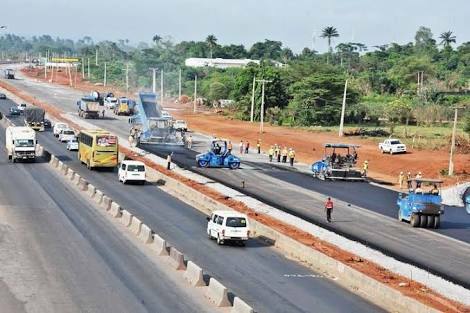 The Federal Executive Council (FEC) has approved N64.108 billion for additional work on 43 kilometres’ part of section one of the Lagos-Ibadan expressway. Minister of Power, Works and Housing Babatunde Fashola, who spoke with reporters after about six hours’ FEC meeting chaired by President Muhammadu Buhari at the Presidential Villa, Abuja, said it was part of the N68.6 billion approved for roads projects. The new approval, Fashola said, is to accommodate the changing factors occurring on the project and also to modify the bitumen for the road to withstand heavy vehicles. “This covers Glover leaves, pedestrian bridges, toll plazas for that section so as to accommodate changing nature of that road since conception. So many new structures, religious institutions, factories, universities and increased human activities that have come up along that road. “The inherited design didn’t provide for all these at all. The second section under RCC about 80 kilometres will come to council to incorporate similar works, including drainage works etc, when we finish procurement,” the minister said.